Prof. Department of Physics, University of Lisbon. He coordinates the Portuguese participation in the ESA Gaia mission that will survey more than a billion stars in the Milky way and beyond. Extensive exploitation of large astronomical data sets has led to work on data-mining, development of data processing pipelines and on interactive visualisation of large data sets. 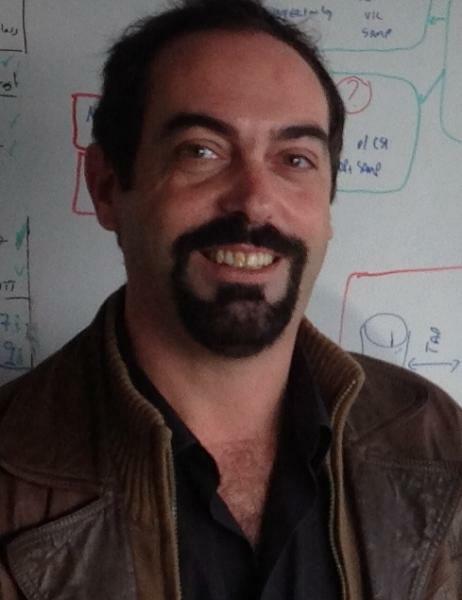 He manages the development of the Visualisation services for the Gaia peta-byte archive and is a member of the Management Committee of the COST Action “Big Data Era in Sky and Earth Observation (BIG-SKY-EARTH)”. Observational work also made him interested in astronomical instrumentation, having been in charge of opto-mechanic and cryogenic systems of instruments designed for some of the world’s largest telescopes. He has served on several committees that shape the future of the exploration of Space, including the European Space Agency (ESA) Astronomy Working Group and the European Southern Observatory (ESO) Observing Programmes Committee. He is presently a member of the ESO Scientific and Technical Committee and of the Portuguese delegation to the United Nations Committee on the Peaceful Uses of Outer Space. He is President of the Portuguese Astronomical Society since 2006. For Space sciences, most of the data leading to new discoveries are now expected to come from huge online archives. Still, in an age where automated massive data analysis is becoming mainstream, visual exploration remains essential for the understanding and critical interpretation of data and results. Our work tackles two main challenges: how to interactively visualise very large amounts of multidimensional point-cloud data and how to perform complex selections within 3D representations. Most users will interface with large archives using normal hardware, such as desktops, laptops and mobile devices. Giving these devices the ability to explore big data in real-time must be provided by off-loading strategies implemented at the level of a visualisation server, preferably close to the archive in order to overcome bandwidth limitations. We explore strategies regarding data off-loading, details on demand, sub-sampling and dimensionality reduction. The second challenge handles the issue of interpreting user interaction and providing mechanisms for complex 3D selections. We consider how widespread 3D interaction devices such as the Microsoft Kinect and more recently the Leap Motion may eventually be used to navigate the data and create spatial selections in conjunction with the normal keyboard and mouse interfaces. We will present developments within the IVELA project – a demonstrator for a 3D interactive environment for visualisation and selection of the archive of the European Space Agency Gaia mission. Although oriented towards research in astronomy, its design is general and suitable for the visualisation of other large datasets of multidimensional point sources.